Gettleman says there is a plan. I wonder if it is this!?!? But what if the Giants do have a plan and the plan has a backup now that the Dolphins are QB desperate. To get into the top 5 from 13 will probably take a lot more then the dolphins can afford to give especially since they have a ton of holes to fill as well. Giants trade 6 with the Dolphins 13. Get the Dolphins 13th pick this year 2nd round pick (38th) pick this year and 1st round pick next year. Dolphins take Haskins at 6. Now taking Lock at 13 or Jones isn’t a reach. The Giants add another pick this year in round 2 and also have2 first round picks next year. And how the Giants and the Dolphins 🐬 teams are shaping up both may be in the top 10 next year. No matter how you want to skin the cat. All the sudden the QB desperate dolphins are the Giants new best friend. The only way they shouldn’t do this is one of 2 things they are thinking. Well since Gettleman has never traded down as a GM - i would tend to doubt that. last year- and won 5 games. Notice a pattern. I'm maybe the world's worst guesser. But every once in a while the tea leaves speak with uncanny clarity. I can't shake the feeling that Fromm has been the target all along. How they do it is a mystery for me, I just can't shake this feeling. I'm a fan of trading back, generally, but it is a careful decision to make. Overall it is usually a good idea. the team that trades back usually wins, unless you miss out on a pat mahomes type of elite player. The NYG after years of bad drafts and trading away every player on their team need multiple starters and depth as well. Trading back is the probably the only way to get multiple starters & depth players that stick quickly. It also gives them the draft capital to trade up and gab their QB, for next year where they will no doubt want one of the Qbs next year. If it backfires that is the risk you take. The draft is fraught with gambles. trading back is usually a very good gamble. the biggest challenge to trading back is that you need a trade partner that offers you enough value and the picks you want in the year you want to make it worthwhile. Fans always assume there are multiple trade partners lining up to give you insanely good offers. I suspect that isn't the case. also, Dg has never traded down, ever. So i doubt he starts this year, unfortunately. Let's not get our hopes up for an intelligent draft strategy. I don’t know what to think of him. Stats aside, his performances are bipolar. I think the target this year was Herbert. Unless the Gmen are drafting in the top 4 next year i doubt they can sit back and wait for a Fromm, Herbert, Tua etc to fall. That’s kinda what I’m thinking but that’s why hoping with a desperate team like the Dolphins May be for a QB. If you can say you want to move up 7 spots in the first round. We need yiur 13th pick and 38th and 1st next year. Hell. I even take 13th and 1st next year. Gettleman has no plan. The guy is in over his head and is mentally shot. His plan was to win right away, that didn't work and now the organization is in shambles and Gettleman doesn't know how to fix it. 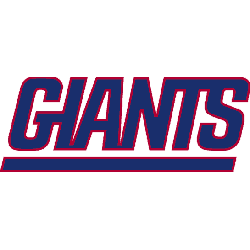 I believe that if and this is a big if, the Giants can come away with a starting RT and WR and increased depth at RB on offense as well as a starting CB, an edge rusher, a true NT, and a future FS in the draft, they would be a highly competitive team. 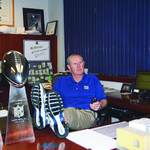 Coming away with Eli's successor would be great but not as critical as some think. Eventually you have to find a QB. This class by some isn’t that good by others pretty strong. That's why I want Haskins at #6. Lauletta is our guy. Smokescreen of the biggest proportion ...what great work by the team!! QB is such a tough pick and I don't recall all the pundits clamoring for last years #1pick? 12 picks....exciting times. Time for the staff to earn the $$$ and undo the bad picks of the past.